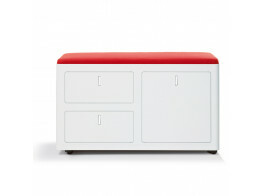 Office desk pedestals have evolved into more than just a storage unit. They are now personal. At Après Furniture we offer you a huge range of innovative desk pedestals, offering both static or mobile pedestals for either A4 or foolscap suspension files, American Letter, and Dutch folio alongside filing drawers and box drawers. Our selection of desk pedestals covers all bases when it comes to finding the right personal desk side storage solution, whether you require a small narrow pedestal, standard width pedestal, double width pedestals with seat pad or tower pedestals. We make finding the right office pedestal solution easy. 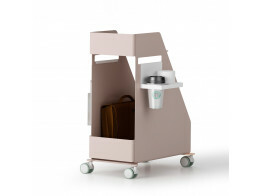 Store Personal Desk Pedestals, for example, provide a light modern aesthetic for the agile working office, with the main compartment useful for temporarily storing documents and a drinks holder for convenience and safety. Its castor wheels provide excellent manoeuvrability so you can easily move to another part of the office. 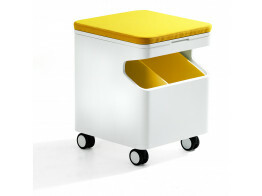 Another of our mobile under desk pedestals is Meet, which doubles as a low stool with upholstered seat pad on the top. Our lockable office pedestal units feature cutting edge secure locks ensuring your items are safe and secure. Many of our modern desk pedestal solutions have built in counterweights to prevent your pedestal from tipping forward when drawers are open and adjustable feet for uneven floors. We also offer desk height office pedestals which can provide an extension to your working surface giving you more work space. We can also supply desk pedestals which function as both a storage cabinet and office room divider with acoustic qualities. Some of our under desk pedestals feature optional interchangeable graphics, providing an opportunity to display company branding in the office. Need a place to hang up your spare suit or coat? We have tall pedestal units with integrated hanging rails. Whatever your requirement may be for either under desk pedestal or desk height pedestals we can supply you with the right solution. Follow Me Pedestals are an ideal agile working solution for a personal mobile pedestal. 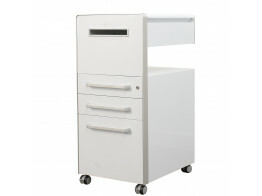 C Box Double Pedestal is a designer under desk pedestal with seat pad for any drop in visitors. 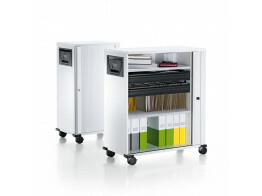 Mobile Personal Pedestal is a cobination desk pedestal with shelves and suspension file drawers. Bite Mobile Desk Pedestal is an innovative personal wrap around desk pedestal for hot desking. 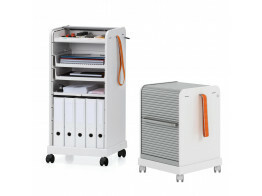 Store Personal Pedestal is an under desk mobile storage solution for the agile working office. 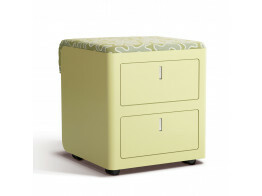 CBox Pedestal is a stylish cushioned top desk pedestal with an optional perfumed interior. 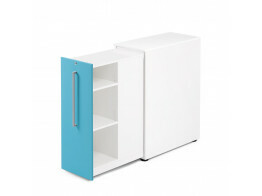 Available in three depths, Tall Pedestals are ideal for folders and hanging files for office storage.